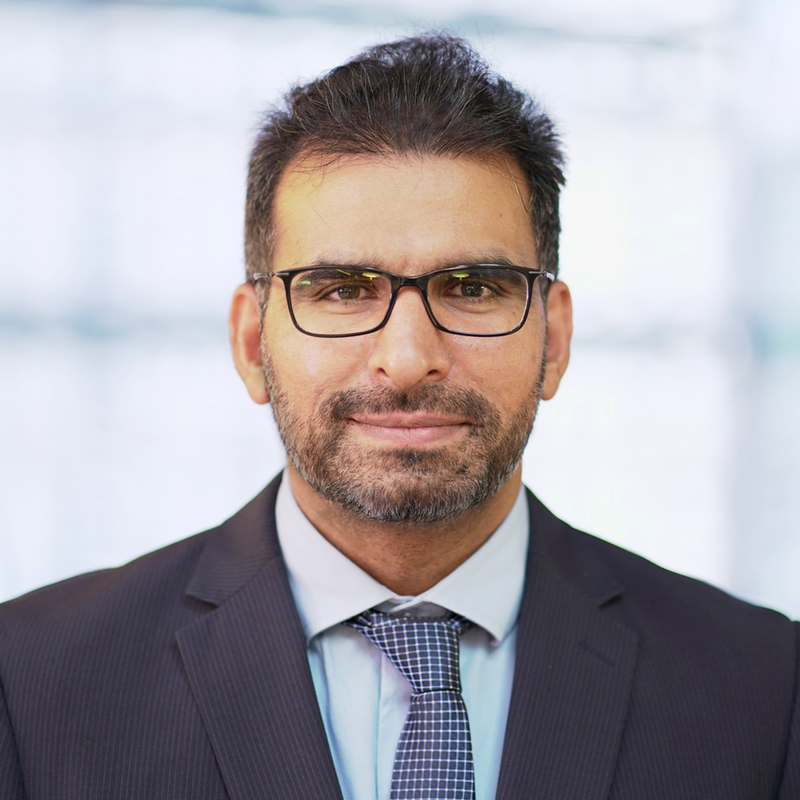 Asif Gill is a result-oriented academic, adviser, coach, inventor and professional trainer with extensive experience in various sectors including banking, consulting, education, finance, government, nonprofit, software and telco. He specialises in adaptive enterprise architecture & information-centric secure digital ecosystems. He is also the Director of the SoS DigiSAS Lab (P.K.A. COTAR). He has worked with a number of organisations including Ability Options, ANZ Bank, Bureau of Meteorology, Department of Defence, Department of Industry, Innovation and Science (DoIIS), Emergency Information Coordination Unit (EICU), Flexi Group, ING Australia, KPMG, Reserve Bank of Australia, Telstra, University of Newcastle, and University of Sydney. He has extensive professional experience in leading and delivering agile and non-agile multi-million dollar commercial and research projects. He is also helping start-ups in developing innovative business model, products and services. He conducts customer-centric practice-oriented applied action-design research that targets the challenges of academia, industry, government and society. His work has appeared in major academic and industry journals including Information and Management, Information Systems, Communications of the AIS, Information and Software Technology, Information System Frontiers, Journal of Systems and Software, Cutter IT Journal and CIO Magazine. He is author and inventor of The Gill Framework® for architecting Adaptive Enterprise Architecture. He is often invited and involved as a professional speaker, guest editor, conference chair, organizer and reviewer for a number of national and international academic and industry conferences. He has a PhD Computing Science (Software Engineering), MSc. Computing Science (Software Engineering) and Master of Business. When completing his PhD at University of Technology Sydney (UTS), he was awarded the Australian Postgraduate Award for Industry (APAI). He has also completed professional trainings and certifications in Data Vault, TOGAF 9.1, ITIL v3 Foundation, Lean Six Sigma, Project Management, Applied Business Architecture, Design Thinking, and AWS Cloud Architecture. Gill, A 2017, Adaptive Enterprise Strategy Journey Management Your Journey for Building an Adaptive Business Strategy and Execution Capability in a Rapidly Changing and Increasingly Digital World, Createspace Independent Publishing Platform. This book takes you on a journey of the development of a robust, highly scalable and smart method for building adaptive enterprise capabilities that are not achievable using the existing traditional frameworks and methods. Gill, AQ 2015, Adaptive Cloud Enterprise Architecture, World Scientific. Gill, A 2012, The Gill Framework Adaptive Enterprise Architecture Toolkit. This book provides the synopsis of The Gill Framework for adaptive enterprise architecture. © 2018 Elsevier B.V. One of the critical information systems that enables service resilience is the service configuration information system (CiS). The fundamental challenge for organisations is the effective designing and implementation of the CiS architecture. This paper addresses this important research problem and reports insights from a completed applied action design research (ADR) project in an Australian financial services organisation. This paper aims to provide guidance to researchers and practitioners contemplating ADR, rooted in the organisational context, for practice-oriented academia-industry collaborative research. This research also contributes in terms of the CiS reference architecture design knowledge and demonstrates the applicability of the ADR method. The adoption of agility at a large scale often requires the integration of agile and non-agile development elements for architecting a hybrid adaptive methodology. The challenge is 'which elements or components (agile or non-agile) are relevant to develop the context-aware hybrid adaptive methodology reference architecture?' This paper addresses this important challenge and develops a hybrid adaptive methodology reference architecture model using a qualitative constructive empirical research approach. In this way, we have uncovered the agility, abstraction, business value, business policy, rules, legal, context and facility elements or components that have not been explicitly modelled or discussed in International Standards (IS) such as the ISO/IEC 24744 metamodel. It is anticipated that a context-aware hybrid adaptive methodology can be architected by using the proposed context-aware hybrid adaptive methodology reference architecture elements for a particular situation when using a situational method engineering approach. © 2018, Emerald Publishing Limited. Purpose: Development and operations (DevOps) is complex in nature. Organizations are unsure how to effectively establish a DevOps capability for the continuous delivery of information management systems. This paper aims to compile and analyze DevOps by applying the well-known systematic literature review (SLR) approach. This review is intended to provide a knowledge base to support the informed, effective and less risky adoption of DevOps for information management systems. Design/methodology/approach: In this qualitative research study, the SLR method was applied to identify 3,790 papers, of which, 32 relevant papers were selected and reviewed. Findings: The results are organized using the well-known ISO/IEC 24744 metamodel elements: people (roles), process, technology and artifacts. In total 11 major roles, 6 processes, 23 technologies, 5 artifacts and 7 challenges (including 6 corresponding solutions) were found. DevOps engineer is becoming a newly identified role. Continuous delivery pipeline and continuous improvement are the most highlighted major DevOps processes. Build system technology is becoming the key focus of DevOps. Finally, major challenges are around people and culture and the misunderstanding of DevOps. Potential research areas are: DevOps analytics, artifacts and tool–chain integration. Research limitations/implications: The research findings will serve as a resource for both practitioners and researchers who have interest in the research and adoption of DevOps for information management systems. Originality/value: This paper provides a comprehensive systematic review of the body of knowledge to support the ongoing research and adoption of emerging trends of DevOps for information management systems. © 2018, King Fahd University of Petroleum & Minerals. Software practitioners have always shown a significant interest in implementing software process improvement (SPI) initiatives to ensure the delivery of quality products. Software industry and SPI methodologies have evolved over a period of time; however, still many SPI initiatives have not been successful. There is a need to understand software practitioners' perspectives on SPI success which can be helpful for tailoring or improving effective situation-specific SPI methodologies. This research presents an exploratory study of Turkish software development organizations. The main research question is: What software practitioners' really think about SPI project success. This study was conducted with 27 Turkish software development organizations to identity and analyse important SPI factors that contribute to the success of SPI projects. The results reveal that professional growth, increased professional recognition, project planning, monitoring of project risks, providing technical support, adoption of current technologies, strong leadership and commitment are among the highest ranked factors that contribute towards the success of SPI initiatives. The findings of this research provide a foundation for further work in tailoring and improving situation-specific SPI methodologies for software project environments. Copyright © 2017 John Wiley & Sons, Ltd. Managing communication in collaborative global software development (GSD) projects is both critical and challenging. While social computing has received much attention from practitioners, social computing adoption is still an emerging research area in GSD. This research paper provides a review of the academic research in social computing and identifies motivators for adopting social computing in the GSD context. We applied the systematic literature review (SLR) and questionnaire survey with 35 software industry experts to address the research objective. Firstly, we implemented a formal SLR approach and identified an initial set of social computing adoption motivators. Secondly, a questionnaire survey was developed based on the SLR and was tested by means of a pilot study. The findings of this combined SLR and questionnaire survey indicate that real-time communication and coordination, knowledge acquisition, expert feedback, and information sharing are the key factors that motivate social computing adoption in GSD projects. The results of t test (ie, t =.558, P =.589) show that there is no significant difference between the findings of SLR and questionnaire. The results of this study suggest the need for developing social computing strategies and policies to guide the strategic adoption of social computing tools in GSD projects. © 2017, © Emerald Publishing Limited. Purpose: The aim of this paper is to report on the adaptive e-contract information management reference architecture using the systematic literature review (SLR) method. Enterprises need to effectively design and implement complex adaptive e-contract information management architecture to support dynamic service interactions or transactions. Design/methodology/approach: The SLR method is three-fold and was adopted as follows. First, a customized literature search with relevant selection criteria was developed, which was then applied to initially identify a set of 1,573 papers. Second, 55 of 1,573 papers were selected for review based on the initial review of each identified paper title and abstract. Finally, based on the second review, 24 papers relevant to this research were selected and reviewed in detail. Findings: This detailed review resulted in the adaptive e-contract information management reference architecture elements including structure, life cycle and supporting technology. Research limitations/implications: The reference architecture elements could serve as a taxonomy for researchers and practitioners to develop context-specific service e-contract information management architecture to support dynamic service interactions for value co-creation. The results are limited to the number of selected databases and papers reviewed in this study. Originality/value: This paper offers a review of the body of knowledge and novel e-contract information management reference architecture, which is important to support the emerging trends of internet of services. The effective delivery of emergency information to elderly people is a challenging task. Failure to deliver appropriate information can have an adverse impact on the well-being of the elderly people. This paper addresses this challenge and proposes an IoT-enabled information architecture driven approach, which is called 'Resalert'. Resalert offers IoT-enabled emergency information supply chain architecture pattern, IoT device architecture and system architecture. The applicability of the Resalert is evaluated by the means of an example scenario, a portable Raspberry Pi based system prototype and user evaluation. The results of this research indicate that the proposed approach seems useful to the effective delivery of emergency information to elderly people. There is increasing interest in studying and applying geographically distributed agile development (GDAD). Much has been published on GDAD communication. There is a need to systematically review and synthesize the literature on GDAD communication challenges. Using the SLR approach and applying customized search criteria derived from the research questions, 21 relevant empirical studies were identified and reviewed in this paper. The data from these papers were extracted to identify communication challenges and the techniques used to overcome these challenges. The findings of this research serve as a resource for GDAD practitioners and researchers when setting future research priorities and directions. Organizations have shown a significant interest in the adoption of emerging social technologies to support communication and collaboration needs of their Distributed Agile or Adaptive Development Environment (DADE). However, the challenge is how best to assess contemporary social technologies for supporting communication and collaboration in the DADE. Here, a communication technology assessment tool, called CTAT, is developed as a part of the Adaptive Enterprise Service System (AESS) toolkit by using the design research approach. This paper presents the evaluation of the CTAT construct through its use in the assessment of three social technologies within the context of a DADE. The results of this evaluation indicate that CTAT is shown to be useful, for example, when assessing a particular social technology for a specific DADE communication and collaboration context. The CTAT is intended to be used by senior developers for assessing social technologies for their DADE context. The emergency management industry is showing a significant interest in the adoption of social media for sourcing and disseminating crisis information. The emergency management industry needs to identify social architecture concerns when considering the adoption of a specific social media technology. Social architecture describes the properties and environment of a social system such as the 'emergency management system'. This paper identifies a set of 21 social architecture concerns based on recent qualitative research. This set of social architecture concerns can be used as a criteria list to assess the effectiveness of social media platforms for emergency information management applications. Financial services technologies (FST) are core to the continuous transformation of financial services organizations (FSO). To date, however, there has been a lack of empirical research into FST adoption against the backdrop of the recent financial crisis. In this paper, we re-examine how FSO are currently positioned to take advantage of emerging FST. Note that, in this paper, we look forward rather than provide a commentary on the state of the art in technology adoption research. We conducted this research by applying an exploratory qualitative study method: we analyzed interview transcripts from thirty recent interviews of FSO technology executives and CIOs by using a thematic network analysis tool. This analysis uncovered nineteen basic, eight organizing, and two global FST adoption research themes along with their links to FST adoption objectives, challenges, customer centricity, human resources, outsourcing, and overall IT strategy maintenance. This research has both practical and theoretical research implications and serves as a resource base for FSO and researchers to set future research priorities and directions. We intend for the emerging themes that we present in this paper to facilitate research directions by shedding light on the areas of greatest value and potential return in FST adoption. Emergency management agencies are progressively using social media for the sourcing and distribution of disaster information. Emergency management agencies are often unsure as to how to best identify and assess social media concerns (e.g. information security, trust) which must be addressed to develop a social media-enabled disaster information management environment. This paper adopts the Social Architecture Viewpoint Assessment (SAVA) framework for identifying and assessing social media concerns from four different viewpoints: IT, Value, Resource and Management. This paper demonstrates the use of the SAVA framework in the context of an in-depth empirical case study of an Australian emergency management agency. The results of this study indicate that the SAVA framework is useful for emergency information management managers in identifying and assessing social media concerns. Agile or adaptive enterprise architecture driven software development approach requires a modelling standard to describe the existing and to-be developed artifacts both at the high enterprise level and low, detailed level. However, a single modelling standard may not be used off-the-shelf to fully support the modelling needs of an adaptive enterprise architecture driven software development needs. The modelling standards need to be systematically analyzed and integrated for a particular modelling context. This paper reviews two well-known modeling standards ArchiMate and BPMN by using the interoperability research framework. Based on the syntax, semantics and structural analysis of these two modelling standards' metamodels, it proposes a hybrid adaptive enterprise architecture modelling approach for describing and analysing the artifacts both at the high enterprise level and low, detailed level for a particular context. This paper has both theoretical and practical implications for researchers and practitioners pursuing to integrate various modelling standards. Software intensive organisations require the integration of agility, people, process, product and tool elements for establishing a hybrid adaptive software development capability. This paper presents the results of the empirical study that has been conducted to identify the important underlying characteristics of the hybrid adaptive software development capability elements. Based on this investigation, the most critical and the least critical characteristics of the hybrid adaptive software development capability elements have been identified. The findings of this empirical study have several implications, and can be re-casted into making practical recommendations for establishing a situation-specific hybrid adaptive software development capability. Adaptive enterprise architecture capability plays an important role in enabling complex enterprise transformations. One of the key challenges when establishing an adaptive enterprise architecture capability is identifying the enterprise context and the scope of the enterprise architecture. The objective of this paper is to develop and present an adaptive enterprise service system (AESS) conceptual model, which is a part of The Gill Framework for Adaptive Enterprise Service Systems. This model has been developed using a Design Research approach. The AESS conceptual model assimilates agility, service, and living systems thinking (following multi-agent system modelling) for describing and analyzing the enterprise context and scope for establishing an adaptive enterprise architecture capability. The target audience of this AESS model driven approach includes both, enterprise architecture researchers and practitioners. Purpose - In distributed adaptive development environments (DADE), a primary concern is that of human communication and knowledge sharing among developers. Developers' task performance will be enhanced when their task needs are aligned with the communication media or technology capabilities of the development environment. What are actual communication needs of developers; and how do we enable developers to self-assess and select appropriate communication technology for their tasks in the DADE. The purpose of this paper is to investigate and present research based on the developers' needs for communication technologies in the context of DADE. Design/methodology/approach The authors applied an exploratory qualitative research method to investigate, analyze and integrate survey information sourced from 40 developers, to identify their communication technology needs and, based on this information, the authors then set up a practical tool communication technologies assessment tool (CTAT) to assist developers in the self-assessment and selection of appropriate communication technologies for their DADE; and also to share this assessment knowledge with other developers or teams located in various DADEs. Findings The results of this research suggest that an effective CTAT should be an integral part of the DADE; and a DADE should have a single source of information in order to avoid possible communication inconsistencies and ambiguities. Agile methods are often seen as providing ways to avoid overheads typically perceived as being imposed by traditional software development environments. However, few organizations are psychologically or technically able to take on an agile approach rapidly and effectively. Here, we describe a number of approaches to assist in such a transition. The Agile Software Solution Framework (ASSF) provides an overall context for the exploration of agile methods, knowledge and governance and contains an Agile Toolkit for quantifying part of the agile process. These link to the business aspects of software development so that the business value and agile process are well aligned. Finally, we describe how these theories are applied in practice with two industry case studies using the Agile Adoption and Improvement Model (AAIM). © 2008 Elsevier Inc. All rights reserved. Agile provides alternative ways of working. Organizations are showing significant interest in applying agile ways of working to business process management (BPM). BPM is concerned with the automation and management of business processes. Agile ways of working can be applied to BPM planning, analysis, architecture, design, implementation, operation, monitoring, and improvement. However, the application of agile thinking to BPM is not a straight forward task. There is a need to understand the basic concepts, underlying values and principles of agile ways of working. This chapter discusses the constituent building blocks of agile and explains how to establish an Agile BPM capability. © 2015 by IGI Global. All rights reserved. The emergence of Software as a Service (SaaS) has made it possible to develop dynamic and complex business processes as eServices. The development of business processes as eServices (SaaS) can be assisted by the means of adaptive or agile development processes. The development of business processes in terms of SaaS require to perform SaaS requirements engineering (RE), which is an important phase of a software development process for the success of any project. The challenge here is how best to do SaaS RE (e.g. mapping business process to eServices) and select agile development practices for developing business processes in terms of SaaS. In order to address this challenge, an integrated agile RE model for SaaS project development environments is outlined within this chapter. The purpose of the proposed RE model is to aid in iteratively determining SaaS requirements in short iterations as opposed to the "only first and onetime upfront" phase of a development process. Each identified SaaS requirement or a set of requirements for a given iteration is linked to a single or set of specific agile practices for implementation in short iterations. This model can be used as a guideline by organisations wishing to understand the challenging task of mapping business processes to SaaS and its implementation by using agile software development processes or practices. The emergence of Software as a Service (SaaS) has made it possible to develop dynamic and complex business processes as eServices. The development of business processes as eServices (SaaS) can be assisted by the means of adaptive or agile development processes. The development of business processes in terms of SaaS require to perform SaaS requirements engineering (RE), which is an important phase of a software development process for the success of any project. The challenge here is how best to do SaaS RE (e.g. mapping business process to eServices) and select agile development practices for developing business processes in terms of SaaS. In order to address this challenge, an integrated agile RE model for SaaS project development environments is outlined within this chapter. The purpose of the proposed RE model is to aid in iteratively determining SaaS requirements in short iterations as opposed to the only first and onetime upfront phase of a development process. Each identified SaaS requirement or a set of requirements for a given iteration is linked to a single or set of specific agile practices for implementation in short iterations. This model can be used as a guideline by organisations wishing to understand the challenging task of mapping business processes to SaaS and its implementation by using agile software development processes or practices. © 2014, IGI Global. The emergence of Software as a Service (SaaS) has made it possible to develop dynamic and complex business processes as eServices. The development of business processes as eServices (SaaS) can be assisted by the means of adaptive or agile development processes. The development of business processes in terms of SaaS require to perform SaaS requirements engineering (RE), which is an important phase of a software development process for the success of any project. The challenge here is how best to do SaaS RE (e.g. mapping business process to eServices) and select agile development practices for developing business processes in terms of SaaS. In order to address this challenge, an integrated agile RE model for SaaS project development environments is outlined within this chapter. The purpose of the proposed RE model is to aid in iteratively determining SaaS requirements in short iterations as opposed to the "only first and onetime upfront" phase of a development process. Each identified SaaS requirement or a set of requirements for a given iteration is linked to a single or set of specific agile practices for implementation in short iterations. This model can be used as a guideline by organisations wishing to understand the challenging task of mapping business processes to SaaS and its implementation by using agile software development processes or practices. Mehar, AM, Gill, AQ & Matawie, K 2018, 'Analytical Model for Residential Predicting Energy Consumption', International Conference on Business Informatics, Vienna, Austria.. There is a growing interest among organizations in adopting DevOps approach for IoT (Internet of Things) applications. However, the challenge is: how to apply DevOps when a multi-cloud heterogeneous environment is required for IoT application. This paper aims to addresses this important challenge and proposes a DevOps Reference Architecture (DRA) to deploy IoT-applications on multi-cloud. The proposed architecture is evaluated by the means of a case study, which involves deploying an IoT application on the chosen set of clouds. The results of this initial evaluation indicate that the proposed architecture would help practitioners and researchers to understand the usefulness and applicability of DevOps approach on multi-cloud platform for automating IoT application deployment. There is an increasing interest in the Internet of Things (IoT) enabled smart buildings. The main question is: what are the key challenges, which must be addressed to effectively manage and analyze the big data for IoT enabled smart buildings. There is a need for the systematic literature review to understand the challenges and the solutions to overcome such challenges. Using the SLR approach, 22 relevant studies were identified and reviewed in this paper. The data from these selected studies were extracted to identify the challenges and relevant solutions. The findings from this research paper will serve as a knowledge base for researchers and practitioners for conducting further research and development in this important area. Although EA principles have received considerable attention in recent years, there is still little known about how EA principles can be used to govern the transformation of the Information Systems enabled organization. In this research-in- progress paper, we communicate our initial step towards answering the sub-question: how do enforcing EA principles contribute to IS-enabled OT? Based on a comprehensive literature review, we initially propose five testable hypotheses and a research model, which is a pre-requisite to developing a data-driven theory for this important area of research. It is anticipated that the ensuing theory will provide a basis for further research studying the impact of EA on IS-enabled OT. The tested research model will also provide guidance to practitioners on how to effectively design and use EA principles in managing transformative changes caused by IS within their organizations and overall industry sectors. Bajwa, MA & Gill, AQ 2016, 'Enterprise IT Governance: Back to Basics', 25th International Conference on Information Systems Development, International Conference on Information Systems Development, AIS eLibrary, Katowice, Poland..
© 2016 IEEE.In some conventional definitions, Enterprise Architecture (EA) is conceived as a descriptive overview of the enterprise, while in other views EA is seen as a prescriptive framework of principles and models that helps translate business strategy to enterprise change. The conceptualizations of EA also vary in scope. There is an increasing recognition of EA as a systemic, enterprise-wide capability encompassing all relevant facets of the organization, transcending the traditional IT-centric view. However, we argue that none of the conventional conceptualizations of EA are adaptive in the face of today's complex environment. We view that an adaptive EA must go beyond a single organization and fully appreciate enterprise-in-environment ecosystemic perspective. Drawing on the heritage of Open Socio-Technical Systems Design and adopting the 'three schools of thought' as a meta-paradigmatic backdrop, the paper features four different views of long-time scholar-practitioners, who discuss what an adaptive enterprise architecture would entail. Integration of these views paints a radically reconceptualized picture of enterprise architecture for the future. With this paper, we want to lay a foundation for a debate on the need for alternative conceptualizations, manifestations and research agenda for enterprise architecture. Agile development is a highly collaborative environment, which requires active communication (i.e. effective and efficient communication) among stakeholders. The active communication in geographically distributed agile development (GDAD) environment is difficult to achieve due to many challenges. Literature has reported that active communication play critical role in enhancing GDAD performance through reducing the cost and time of a project. However, little empirical evidence is known about how to study and establish active communication construct in GDAD in terms of its dimensions, determinants and effects on GDAD performance. To address this knowledge gap, this paper describes an enterprise architecture (EA) driven research model to identify and empirically examine the GDAD active communication construct. This model can be used by researchers and practitioners to examine the relationships among two dimensions of GDAD active communication (effectiveness and efficiency), one antecedent that can be controlled (agile EA), and four dimensions of GDAD performance (on-time completion, on-budget completion, software functionality and software quality). Service resilience in the face of constant business change is an imperative and complex task for any service organization including those in financial services. Yet, due to its systemic complexity, service resilience as a practice in most organisations is performed in an ad-hoc and inefficient manner resulting in periodic disruptions to day-to-day business operations. Therefore, there is an urgent need for organisations to formulate an agile or adaptive capability for service resilience architecture design and implementation that meets their dynamic business needs. This paper presents one such agile or adaptive service resilience architecture (ASRA) design and implementation capability that has been developed using an adaptive enterprise service system meta-framework (a.k.a. The Gill Framework®). An action-design research method was employed in collaboration with a financial services organisation (FSO) for the establishment of a holistic ASRA design and implementation capability. Agile software engineering practices, originated in the context of individual software project development, are getting vast attention from enterprises for handling multiple agile software engineering projects at a large program and portfolio level. Adoption of agility at a large scale is a challenging task. The success of agility adoption at a large scale is dependent on the knowledge and skills of people involved. This suggests that agile software engineering education and training remains one of the important factors for organizations pursuing to scale agile practices for large environments. However, the teaching of agile software engineering practices for a large scale poses many challenges to software engineering educators. These difficulties include how to establish and simulate an appropriate large scale software engineering environment. This paper presents learnings from teaching agile software engineering practices for large scale at the University of Technology - Sydney (UTS), Australia. The learnings from this paper can be used by other educators who are aiming to teach enterprise scale agile software engineering practices. Alzoubi, Y.I. & Gill, A.Q. 2014, 'Agile Global Software Development Communication Challenges: a Systematic Review. ', PACIS, pp. 20-20. The literature is scant around the take up rates of cloud computing by organisations. Cloud computing is nonetheless expected to be a major computing paradigm in the future. The benefits of the cloud vis-à-vis outsourcing many current in-house IT services and applications – both hardware and software based, are numerous. However, governments and many enterprises are still relatively unclear on the motives for adopting cloud technologies and the consequent benefits gained in a real-world operational environment. This paper examines the results from a survey conducted at a forum of senior government IT managers and their views towards cloud computing adoption. The paper provides insights both from technological and non-technological perspectives in the overall context of cloud adoption in Australian government enterprises. Organizations have shown a significant interest in adopting human and communication-oriented agile practices for Global Software Development (GSD). Agile practices originated in the context of small and medium co-located project teams present a number of communication challenges when they are applied to the distributed GSD. There is a need to understand the underlying communication challenges of agile GSD environment. This paper adopts a Systematic Literature Review (SLR) approach and reports communication challenges in the agile GSD context. A customized literature search and selection criteria was first developed and then applied to initially identify a set of 449 papers. Finally, 22 of 449 papers, relevant to this research, were selected for this study. These final 22 papers were reviewed and 7 major categories of communication challenges were identified in the context of agile GSD. The review results of this paper are expected to help researchers and practitioners to understand communication challenges of agile GSD and develop tools, techniques and strategies to deal with these challenges. This paper is limited to the number of reviewed studies from selected databases. Emergency Management Agencies (EMA) are increasingly adopting online social network (OSN) such as Twitter and Facebook for interacting with partner institutions and citizens for sourcing and distributing of vital crisis information. However, EMA need to study and analyze how well they are using and, how they should be using the OSN. This paper adopts a holistic social architecture driven approach and demonstrates how to systematically study and analyze OSN adoption in the Australian EMA case study. The results of this study indicate that OSNs do not replace traditional systems and should be considered a part of the whole crisis information management environment. Further, it indicates that a holistic social architecture driven approach seems useful for studying and analyzing the OSN-enabled EMA crisis information management environment, which is critical for the identification of opportunities for improvement. Aljaafreh, AO, Gill, AQ & Al-Ani, A 2014, 'Towards the Development of an Initial Trust Model for the Adoption of Internet Banking Services in Jordan', PACIS 2014 PROCEEDINGS, Pacific Asia Conference on Information Systems, AIS, Chengdu, China, pp. 1-11. Internet banking service (IBS) is transforming the traditional ways of customer banking. Although IBS is very common in developed countries, however, its adoption by customers in developing countries is still very slow. This may well be due to the lack of customers trust in IBS in developing countries. This paper studies the important issue of customers initial trust in IBS in the Jordanian context and proposes the customer initial trust model. The objective of this model is to understand and analyse the underlying factors that affect the early stage of trust (i.e. initial customer trust) in IBS, which may, impact customers initial intention to use IBS. The proposed model of customers initial trust in IBS integrates constructs from Diffusion of Innovation (DoI) theory, Hofstede culture theory and trust literature. The distinguishable property of this model is the incorporation of national culture dimensions on initial trust. The proposed model will assist Jordanian banks in understanding the factors that may impact their customers initial trust in IBS. Smith, S., Gill, A.Q., Hasan, H. & Ghobadi, S. 2013, 'An Enterprise Architecture Driven Approach to Virtualisation. ', PACIS, pp. 50-50. The continuous adaptation of modern enterprises is largely dependent on their underlying adaptive enterprise architecture capability. However, the establishment of an adaptive enterprise architecture capability requires defining the enterprise context before actually commissioning any enterprise architecture or adaptation work. This paper presents the adaptive enterprise service system (AESS) model based on the Design Science research method and Theory Triangulation approach. The AESS integrates the enterprise context perspectives from three well-known theories of agility, (agent) system, and service science. The AESS model, as a part of the large adaptive enterprise architecture toolkit, defines a modern enterprise as an adaptive enterprise service system. The adaptive enterprise service system is a multi-agent system of service systems that exhibits agility and focuses on the emerging service-centric view as opposed to a traditional product-centric view. The service-centric view of an enterprise is critical for establishing the adaptive enterprise architecture capability for handling complex enterprise transformations. Abstract context: Real-time collaboration is critical for developing high quality software systems at low cost in a geographically distributed Global Software Development (GSD) environment. It is anticipated that emerging Social Computing tools can play an important role in facilitating realtime effective collaboration among teams working in the GSD. Objective: The objective of this research paper is to identify motivators for adopting social computing in GSD organizations. Method: We adopted a Systematic Literature Review (SLR) approach by applying customized search strings derived from our research questions. Results: We have identified factors such as real-time communication and coordination, information sharing, knowledge acquisition and expert feedback as key motivators for adoption of social computing in GSD. Conclusion: Based on the SLR results, we suggest that GSD organizations should embrace social computing as a tool for real-time collaboration between distributed GSD teams. The results of this initial study also suggest the need for developing the social computing strategies and policies to guide the effective social computing adoption by GSD teams. Organisations have shown a significant interest in the adoption of virtualisation technology for improving the efficiency of their Data Centres (DC) from both the resource performance and cost efficiency viewpoints. By improving the efficiency of data centres we can sustainably manage their impact on the environment by controlling their energy consumption. The intentions are clear but how best to approach to Data Centre virtualisation is not. This paper proposes an integrated Enterprise Architecture and Information Infrastructure (EAII) driven approach to guide the Data Centre virtualisation. The EAII approach has been developed based on the review and analysis of well-known The Open Group Architecture Framework (TOGAF) and Information Infrastructure (II) model. The proposed integrated EAII approach seems appropriate to guide and align business strategy and virtualisation implementation for data centres of any size in any industry vertical. Traditional approaches to software and information systems development (ISD) cannot fulfill the challenges presented by the complexity inherent in todays dynamic and changing environments. In this study we argue that ISD projects are socially complex endeavors and suggest that agile development methods display characteristics that justify them as being appropriate for such project environments. We suggest that one theory that justifies the appropriateness of agile methods in such contexts is the complex adaptive systems (CAS) theory. We first argue that ISD projects can be treated as CAS, and second, we assess the alignment between CAS characteristics and agile methods principles. We therefore propose and discuss a preliminary conceptual foundation for handling the complexity of ISD projects with agile methods. Our future research directions seek to investigate the applicability of specific agile methods and develop a comprehensive framework that will offer a validated theoretical justification of better approaches to manage complex ISD projects in practice. Internet banking services (IBS) offer many benefits to customers and banks. IBS have widely adopted and used in developed countries, however IBS adoption in developing countries such as Jordan is still low. Lack of customer trust is considered as the most important impediment to the use of IBS in developing countries. The aim of this study is to investigate and identify the factors that influence customers initial trust of IBS in the Jordanian context. This paper adopts the qualitative literature survey approach and reports two main categories: Human category and Information Technology category. Human category includes: personality- based trust, cognition-based trust (Reputation), Institutional-based trust (structural assurance), social factors (culture) and supporting factors (relative advantages). Information Technology category includes: website factors (security, privacy, and general online experiences)). We argue that these factors can be useful for organisations in understanding and addressing customers initial trust about IBS in the Jordanian context. Emergency agencies (EA) rely on inter-agency approaches to information management during disasters. EA have shown a significant interest in the use of cloud-based social media such as Twitter and Facebook for crowd-sourcing and distribution of disaster information. While the intentions are clear, the question of what are its major challenges are not. EA have a need to recognise the challenges in the use of social media under their local circumstances. This paper analysed the recent literature, 2010 Haiti earthquake and 2010-11 Queensland flood cases and developed a crowd sourcing challenges assessment index construct specific to EA areas of interest. We argue that, this assessment index, as a part of our large conceptual framework of context aware cloud adaptation (CACA), can be useful for the facilitation of citizens, NGOs and government agencies in a strategy for use of social media for crowd sourcing, in preventing, preparing for, responding to and recovering from disasters. A primary concern of distributed adaptive development environment (DADE) is that of human communication and knowledge sharing among geographically dispersed developers. Emerging cloud-based communication technologies claim to provide a support for communication and knowledge sharing among developers in a DADE. However, the challenge is how to enable developers to self assess and select appropriate cloud-based communication technologies for their DADE. Based on our recent empirical study, we have developed the construct of a practical communication technologies assessment tool (CTAT). We argue that, CTAT construct, as a part of our large conceptual framework of context aware cloud adaptation (CACA), can be useful to assist developers in the self assessment of appropriate cloud-based communication technologies for their DADE. This paper presents the evaluation of the CTAT by using it for the assessment of the Force.com cloud-based Chatter communication tool. The main objective of this evaluation is to determine to what extent CTAT construct is relevant, valuable and sufficient to achieve its purpose. The results of this evaluation indicate that CTAT seems useful when performing vendor independent assessment of communication technologies in order to make an informed decision about the selection of a communication tool for the DADE. While many organisations are interested in adopting agile methods suitable to their local circumstances, there is little guidance available on how to do so. To address this important issue, we have developed an agile software process lifecycle management framework (APLM). The APLM framework is intended for use by agile coaches, managers and consultants to facilitate the integration of agile practices into both software project development environments. This paper presents the outcomes of an empirical evaluation of the APLM framework that has been conducted by involving a practitionersâ group composed of fourteen experienced agile experts from industry. The main objective of this empirical study is to determine to what extent each component of the agile process lifecycle management (APLM) framework is relevant, valuable and sufficient to achieve its purpose from an industry practitionerâs perspective. In a real software application development environment, a pre-defined or fixed methodology, whether planbased or agile, is unlikely to be successfully adopted "off-the-shelf'. Agile methods have recognised that a method should be tailored to each situation. The purpose of this paper is to present an agile e-toolkit software service to facilitate the tailoring of agile processes in the overall context of agile method adoption and improvement. The agile e-toolkit is a web-based tool to store and manage agile practices extracted from various agile methods and frameworks. TIle core component of the e-toolkit is the agile knowledge-base or repository. The agile knowledge-base contains agile process fragments. Agile consultants or teams can then use agile process fragments stored in the agile knowledge-base for the tailoring of situation-specific agile processes by using a situational method engineering approach. The e-toolkit software service has been implemented using a service-oriented cloud computing technology platform (Software as a Service - SaaS). The agile e-toolkit specifications and software application details have been summarized in this paper. We have developed an agile software solution framework (ASSF) to create and tailor situation-specific agile methods by using a method engineering approach. Here, we report on a questionnaire-based survey with thirty-three experts in order to determine the relevance and importance of the aspects or elements of agile software development methodology specified in ASSF. We have analysed the relevance and importance that each respondent places on the identified elements of the ASSF. Qumer, A & Henderson-Sellers, B 2006, 'Comparative evaluation of XP and scrum using the 4d analytical tool (4-DAT)', Proceedings of the European and Mediterranean Conference on Information Systems, EMCIS 2006. The emergence of agile software development methods provides a contribution to contemporary software engineering practices. Agile methods have several benefits over traditional plan-based methods, in particular their ability to handle projects where requirements are not fixed. In the last few years, a number of agile software development methods have been developed but a detailed evaluation (which is essential) of these methods is not available. This paper presents a detailed comparative analysis of two well known agile methods (XP and Scrum), using the previously published 4- Dimensional Analytical Tool (4-DAT), based on four characterization perspectives: those of scope, agility, agile values and software process. A report generated with the help of 4-DAT will assist organizations in making decisions about the selection or adoption of an agile method. Gill, AQ 2018, 'SECURE INFORMATION ARCHITECTURE: SECURITY BY DESIGN'. Dickson, A & Gill, AQ 2017, 'Aquatic Sciences Data Reference Model'. Context: To inform effective decision making, aquatic ecosystem scientists are required to integrate and interpret information from a variety of sources and domains such as biology, chemistry, hydrology, geology, meteorology, climate science and geophysics. Problem: Preparation, analysis, interpretation and communication of data from disparate sources in different formats is a challenging task. Data from different domains can often be stored differently and is subject to multiple interpretations. This suggests a need to define a taxonomy of aquatic ecosystem data. Solutions: To address the problem in hand, this paper proposes the Data Reference Model (DRM) to facilitate the understanding of data entities, topics and relationships of data within the Aquatic Science domain. Research Method: A series of brainstorming exercises with experienced aquatic ecologists identified a range of data entities and an analysis of existing data standards provided clarity to the entity selection process. Adherence to the Open Geospatial Consortium (OGC) WaterML-WQ Best Practice and the data standards of the Atlas of Living Australia provided guidance to the development of the Aquatic Sciences DRM. The DRM is documented as a tree structure diagram and presented as a poster of data entity taxonomy, to enhance communication. Finally, it is applied to a ten-year aquatic ecosystem monitoring dataset, to demonstrate implementation. Impact: The DRM is aimed to be an important tool for the facilitation of communication between practitioners of aquatic ecosystem science and information systems specialists. It establishes a vocabulary that the two, almost opposing parties, can comprehend and provides a structured and tested approach to data interpretation and governance. Gill, AQ 2017, 'Adaptive Analytics and Information Architecture'. Gill, AQ 2017, 'Building adaptive architecture as a strategic platform for digital transformation'. Gill, AQ 2017, 'Building an Adaptive Enterprise Architecture Capability for our Rapidly Evolving Digital World'. Gill, AQ 2017, 'Adaptive Strategy: Digital Transformation in Higher Education'. Gill, AQ 2016, 'Adaptive Enterprise Architecture Pipeline'. Adaptive Enterprise Architecture Pipeline for Managing EA in Higher Education. Vasauskaite, J & Gill, AQ 2015, 'Sustainable Enterprise Architecture Towards Global Competitiveness'. Purpose. Competitiveness at the global scale is one of the key concerns enterprises need to deal within the dynamic global business environment. Enterprises need to be sustainable and adaptable to respond to the constantly changing global business landscape. The challenge is how to design a sustainable adaptive enterprise? This paper proposes a sustainable adaptive enterprise architecture driven approach to help enterprises to address the important concern of competitiveness from the perspective of today and tomorrow's global market. Sustainability is a key element of strategy for future growth of the enterprise where the resource efficient, environmentally responsible manufacturing of products that deliver sustainability benefits can leverage commercial advantage for the company. Methodology. The methodology of this paper included quantitative and qualitative research methods: the analysis of primary and secondary sources of information. The information necessary for the evaluation was obtained from the strategic documents, statistical data sources, interviews with the experts. There was adopted a theoretical sustainable value framework and the adaptive enterprise architecture framework to developing the design of the sustainable adaptive enterprise architecture. The paper explains that an integrated approach to combining sustainability and enterprise architecture disciplines seems to be useful to address the concern of competiveness at the global scale. Gill, AQ 2014, 'Agile Enterprise Architecture Modeling', Orbus Software. An agile enterprise architecture can first be modeled at a high level and the low level details can emerge later to create an evolving agile enterprise architecture. However, it requires the adoption of a standard approach for modeling the artefacts and there are a number of modeling standards to choose from. The challenge is that each modeling standard differs in its notation and scope. This paper presents the review of the four well-known modeling standards: ArchiMate, BPMN, UML, and SoaML; and recommends the tailoring of a situation-specific modeling environment for describing and analyzing the agile enterprise architecture artefacts, both at a high and low detailed level. Gill, AQ 2013, 'Defining a Social Architecture within the Enterprise Architecture Context', Orbus Software. Organizations have a significant interest in the adoption of social technologies (e.g. Twitter, Facebook, Yammer) for creating an effective social enterprise but before adopting any social technology, enterprises need to understand and design their social architecture. Social Architecture along with other well-established enterprise architecture domains is important for architecting and establishing an effective social enterprise. However, the existing mainstream enterprise architecture frameworks need to be extended for developing situation specific social architecture. This is where Asif Gill introduces The Gill Framework which provides the needed support for developing the social architecture and can be used with available tools within the overall context of enterprise architecture. The paper begins by discussing the need for a new social architecture domain and considers The Gill Framework. Asif then continues to discuss how the framework defines the novel social architecture and the components involved. Gill, AQ 2013, 'Defining a Facility Architecture within the Agile Enterprise Architecture Context', Orbus Software. Facility architecture is important for architecting and supporting other domain architectures, and enterprises need to understand and design it as a part of their overall enterprise architecture. However, the existing mainstream enterprise architecture frameworks lack the support for developing facility architecture. The Gill Framework provides this support, as it can be used with available tools for developing facility architecture within the overall context of enterprise architecture. This white paper explains the key components of the facility architecture domain that could help the architects, analysts, and leaders in understanding its applicability and integration with other EA domain architectures. Firstly, it discusses the need for a new facility architecture domain. Secondly, it discusses The Gill Framework and defines the novel facility architecture. Finally, it discusses the facility architecture components, concluding with a short discussion about how the facility architecture can be used within the overall context of enterprise architecture. Ayyar, K & Gill, AQ 2013, 'An Integrated, Agile Approach to Enterprise Architecture for Managing Complex Enterprise Transformation'. Gill, AQ 2013, 'The Gill Framework: Next Generation Information Management Agile Enterprise Strategy, Architecture and Solutions'. Gill, AQ & Livingstone, R 2012, 'Demanding times'. Information technology has long had an essential role behind the scenes in disaster management (DM), providing the necessary support to the emergency services agencies for collaborating, mitigating, preparing, responding to and recovering from natural or man-made disasters. The emergence of on-demand elastic Cloud technology is laying the foundation to upend the conventional approach to DM, which sometimes may fail due to the unpredictable spike in the demand for computing resources. The core benefit of Cloud technology is that it allows the quick and elastic provisioning of computing power, storage, memory, servers and information systems as services during a period of disaster. Gill, AQ 2012, 'A decision to adopt'. The current influx of a number of emerging technologies demands the re-examination of the financial services industry's position on potential investments in these technologies. Gill, AQ 2012, 'Explainer: What is crowdfunding? ', The Conversation Media Group. Businesses and NGOs mainly rely on traditional approaches to fundraising. But in recent times, both sectors have shown significant interest and had great success in the adoption of crowdfunding as a contemporary approach to fundraising. However, NGOs and businesses need to recognise the challenges of adopting crowdfunding, and how they may operate and effectively use it in the future. Gill, AQ, 'Applying value co-creation concept from agility and service science to support collaborative learning', UTS, UTS Teaching and Learning Forum. Organisations are embracing emerging collaborative and value co-creation concepts from agility and service science. There is not much known about agility and service science application to delivering academic subjects. This paper demonstrates how value co-creation concept from agile and service science has been applied to support collaborative learning in software engineering practice and business requirements modelling subjects at UTS in 2014. Furthermore, this paper indicates that value co-creation concept from agility and service science seems useful for improving overall learning experience and performance of students. Gill, AQ, 'Agility and Learning: Applying agile practices to creating an active feedback-driven 360 learning environment'. This talk will discuss and apply professional agile practices, originating in the context of software development, to create an active feedback-driven 360 learning environment. This talk will more specifically discuss the lessons learnt from the Business Requirements Modelling and Software Engineering Practices subjects.